At the special committee of the whole meeting on January 21, Mayor McKay put forward a motion instructing staff to prepare a budget with a 1% tax increase rather than the 1.8% increase currently in the draft budget. While this sounds like a positive step it should be noted it sends the signal that he has no hope for a 0% tax increase, or better yet a reduction in the current budget which could roll taxes back. This motion was passed with three councillors absent from the meeting. Councillors Kipp, Yoachim and Fuller were unable to attend this special meeting (these men do have 'regular' jobs) and while Councillor Bestwick tried to defer the motion until Monday his motion was defeated. The reason for deferral until Monday, would allow the three absent councillors to give their input into the most important document council deals with. 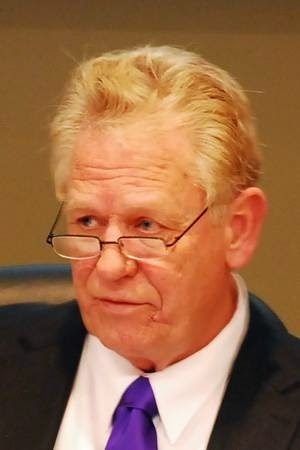 Doesn't Mayor McKay want ALL HIS COUNCIL there to vote? That would be fair and democratic and not dictatorship ruling. Or does he now like slipping things in through the side/back door? Although he did not like it when retired councillor Anderson brought in the late, at the table motion to stop the waste-to-energy (incinerator) plant at Duke Point! How soon politicians change their stripes when they can use something to their favour / benefit.